There were plenty of ups and downs in the auto universe in 2016. The continuing fallout from Volkswagen’s diesel scandal, the relentless march toward autonomy, and the rise of ride-hailing and car-sharing services provided the background noise. But, for the most part, sales trends kept on trucking’, literally and figuratively. These are the 10 best-selling cars, trucks, and SUVs worldwide. Relying on good looks will only get you so far, but for the Nissan Rogue that may be okay. Attractive inside and out, it has comfy seats, nice materials, and many connectivity features. Regrettably, the Rogue suffers from vague steering and too much body roll. A 170-hp four-cylinder with a continuously variable automatic transmission powers the gasoline model; a 2.0-liter four and an electric motor pair with the hybrid. Both offer front- or all-wheel-drive setups. Safety options include intelligent cruise control and automated emergency braking with pedestrian detection. 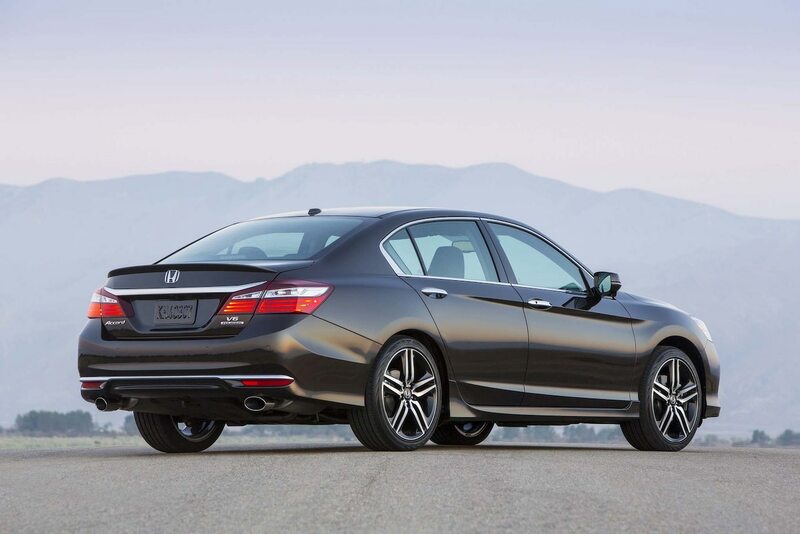 The Honda Accord delivers driving fun in a practical package; all models except the hybrid are 2017 10Best Cars winners. A 185-hp 2.4-liter four and a six-speed manual transmission are standard in the coupe and sedan; Sports models make 189 hp. A continuously variable automatic transmission (CVT) is optional, as is a 278-hp 3.5-liter V-6 with a six-speed automatic; the coupe offers a six-speed manual. The hybrid saw 45 mpg in our test. EX models and above have Apple CarPlay and Android Auto, but some may find the buttonless infotainment system annoying. Its angled headlamps and sharply creased bodywork give the Toyota RAV4 an assertive presence, but don’t be fooled—under the skin, it’s a practical, comfortable, and easygoing ute. A 176-hp 2.5-liter four-cylinder and a six-speed automatic transmission are standard with either front- or all-wheel drive. A hybrid, which returned an impressive 31 mpg in our tests, is also available and gets the standard all-wheel drive. A 6.1-inch infotainment system is standard on LE, SE, and XLE trims; Limited models get a 7.0-inch unit. Versatility, competence, and reliability are the tenets on which the Honda CR-V hangs its hat, hence its 2017 10Best award. Supportive seats and a well-controlled but comfortable ride make it easy to live with. The interior is quiet, handsome, and roomy. The base engine is a 184-hp 2.4-liter four, while a 190-hp 1.5-liter turbo four is optional. A CVT (one of the best available) and front-wheel drive are standard; all-wheel drive is optional. The EX and above trims get automated emergency braking and other safety gear. 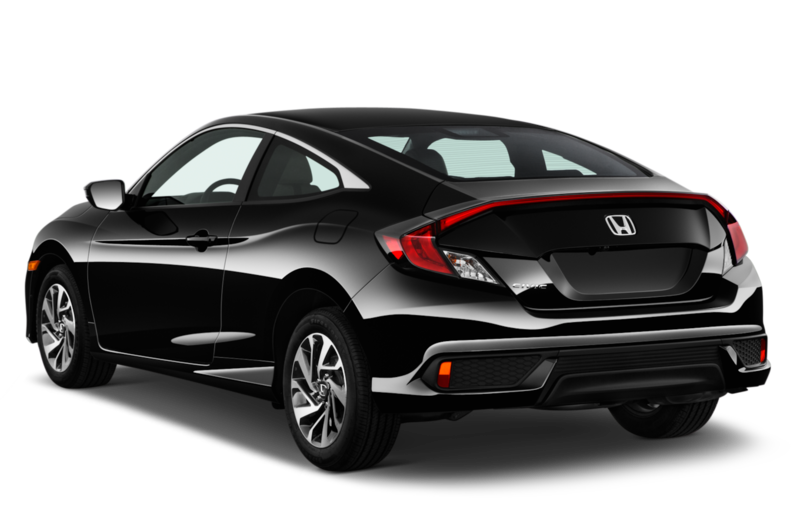 The Honda Civic exemplifies automotive excellence and blends fun with efficiency and practicality. Precise steering, a solid chassis, and a well-tuned suspension provide a compliant ride and sweet handling. Sedans and coupes get a 158-hp 2.0-liter four or a 174-hp 1.5-liter turbo four paired with a six-speed manual or a CVT. The turbo is standard in the hatchback; a 180-hp Sports version is optional. Interior room is good, but taller drivers may find that the front seats lack thigh support. The feature-rich Toyota Corolla is an exceptional value, but the one feature it doesn’t offer is thrilled. A 1.8-liter four-cylinder makes 132 hp—140 hp in the LE Eco model—and drives the front wheels through a six-speed manual or a CVT. A 6.1-inch touchscreen infotainment system with Bluetooth is standard but can be upgraded to a 7.0-inch unit with navigation. All Corollas get modern technology such as adaptive cruise control, lane-keeping assist, automatic high-beams, and automated emergency braking. For the majority of people to whom a car is merely an appliance, the Toyota Camry meets their needs perfectly. Those seeking a zestier ride should look elsewhere. A 178-hp four-cylinder is standard, while a 268-hp V-6 offers some serious zip. Both have a six-speed automatic; a manual is not available. There’s a hybrid, rated up to 38 mpg on the highway. The XSE aims at enthusiasts with a stiffer suspension and some extra styling bits, but its steering is numb, it's braking and handling unexceptional. Few vehicles have such broad appeal as a full-size pickup, and the Ram, with nearly three dozen configurations, is no exception. It comes in rear- or four-wheel drive; regular, quad, or crew cab; and 5'7", 6'4", and 8'0" bed lengths. Power comes from a 3.6-liter V-6 making 269 lb-ft of torque; a 3.0-liter, 420-lb-ft turbo-diesel V-6; or a 5.7-liter, 410-lb-ft V-8 with which you can tow up to 10,700 pounds. A smooth ride and an intuitive infotainment system make the 1500 a pleasure to live with. The 2500 is a comfortable and capable muscular workhorse that can be outfitted plain or fancy. Configurations range from the base Tradesman to the deluxe Power Wagon Laramie. Maximum towing capacity is 17,980 pounds; payload is 3160 pounds. Two V-8 gasoline engines—a 400-lb-ft 5.7-liter and a 429-lb-ft 6.4-liter—are offered, both with a six-speed automatic transmission. A 6.7-liter turbo-diesel inline-six is optional and comes with a six-speed manual or automatic—and we love the diesel’s 800 lb-ft of torque. Modern pickups are amenity-packed multitasking machines, and the Silverado is no exception. The ride is smooth and the cabin quiet, but handling and braking are only average. A 4.3-liter V-6 with 305 lb-ft and a six-speed automatic transmission are standard; optional V-8s are a 5.3-liter with 383 lb-ft and a 6.2-liter with 460 lb-ft, an eight-speed automatic (optional with the 5.3), and 12,500 pounds of towing capacity. One size doesn’t fit all: There are regular, double, and crew cabs with 5'8", 6'6", and 8'0" beds. No surprise here. The legendary F-150—with an aluminum bed and body—earned a 2017 10Best award. The base 3.5-liter V-6 (253 lb-ft), optional 2.7-liter turbo V-6 (375 lb-ft), and optional 5.0-liter V-8 (387 lb-ft) all pair with six-speed automatic transmissions. The optional 3.5-liter twin-turbo V-6 (470 lb-ft) and its standard 10-speed automatic are best for towing, with a maximum capacity of 12,200 pounds. Regular-cab, supercab, and super-crew-cab bodies as well as 5.5-, 6.5-, or 8.0-footbeds make the F-150 an adaptable classic. As for the F-250 Super Duty, brutish power and payload capacity remain key traits, while aluminum construction brings it into the 21st century. A 6.2-liter V-8 with 430 lb-ft, a maximum tow rating of 15,000 pounds, and a six-speed automatic are standard; a 6.7-liter turbo-diesel V-8 with 925 lb-ft and a maximum tow rating of 32,500 pounds is optional. Configurations include regular, super-cab, and crew cab as well as 6.8- and 8.0-footbeds. The F-250 boasts a quiet cabin, a compliant ride, and up to six exterior cameras.